We love creating bespoke upholstery pieces and turning our clients dreams into a reality. There is something magical about designing something unique that exceeds the expectations of a client, whether it’s a large one-of-a-kind sofa for a cinema room, a bespoke child’s throne for a Premiership footballer or a luxurious headboard and matching bedroom seat. By bringing all of our upholstery expertise to the table and listening to the exact requirements of our clients we can design, illustrate and create beautiful bespoke furniture which will take your breath away. We have all the furniture making knowledge and skills required and enjoy going above and beyond. This is why many of our clients come back to us time and time again. When it comes to upholstered furniture the fabric you choose matters. We have a huge variety available in our showroom for you to choose from, but if you need something extra special we can source it for you. 1950s Style Armchair – This bespoke chair was a real pleasure to design and make. The eye-catching paisley velvet with contrast piping gives the chair a funky and hip vibe. It’s iconic. Bespoke High Wingback Chairs – For these matching chairs our skilled cabinet makers built a solid beech wood frame before our upholstery department covered it with Altfield Anaconda Navy faux leather. Masculine and strong, they are real statement pieces. Funky Wingbacks and Domeba Ink Range – We put our hearts and souls into the furniture we design and these chairs are unique to us. The style and fabric make these chairs not only comfortable but attention-grabbing, they’re art-gallery worthy. Bespoke deep buttoned seating – We are the chosen furniture makers for a number of exceptional interior designers. For the furniture for this restaurant we used the specifications and designs of Steve Howie Design. 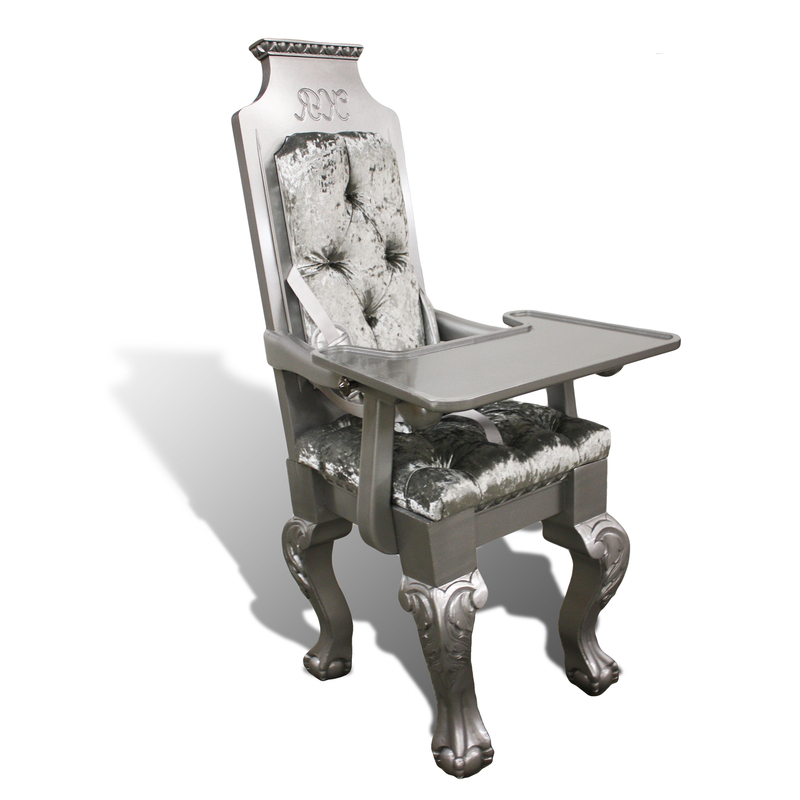 Bespoke child’s throne – We create beautiful bespoke furniture for a number of high-profile clients and this project was commissioned by England footballer Wayne Rooney. Initially designed for his oldest son Kai, we have since created three more for the Rooney family. If you’d like a one-off piece in your home, you may want to check out our new collection of one-off high-end pieces or contact us to discuss how we can create a beautiful upholstered piece to your specific requirements.